1) Find a film canister. 2) Cut down the side from top to bottom, cut the bottom out and trim the top edge. 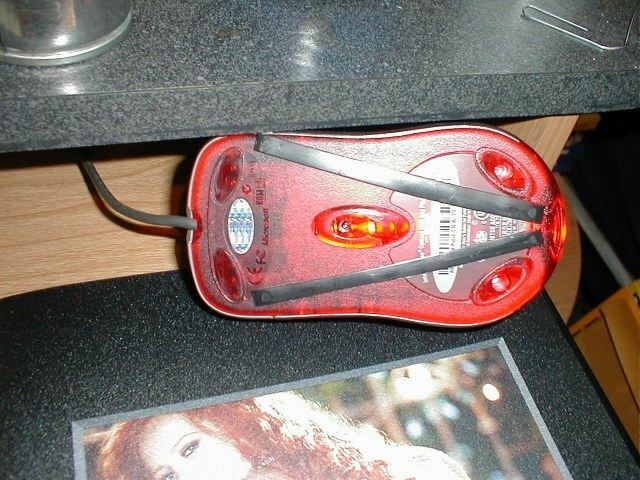 Warning: If you use a corded mouse you may need something to keep the mouse on your keyboard tray, for this I used a cable clip. Thanks go out to Reed for this one!